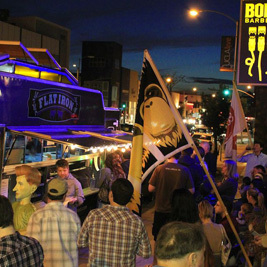 The Flatiron Truck was born out of the desire to serve farm to table fine dining in an inexpensive casual environment. We strive to bring the best street food experience to Los Angeles. We are farm-to-street. To learn more about Flatiron Truck, visit us at www.flatirontruck.com!